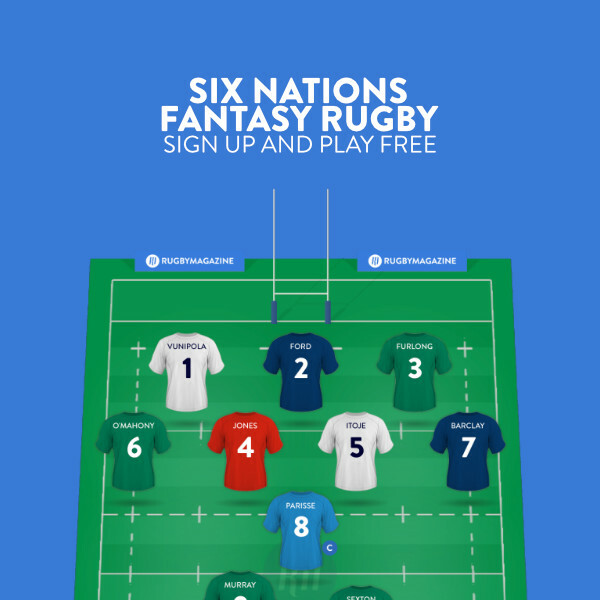 For those veteran Rugby Mag fantasy players returning for the Six Nations, and those new to the game alike, you'll all soon fall upon the latest update out of the RMHQ workshop. 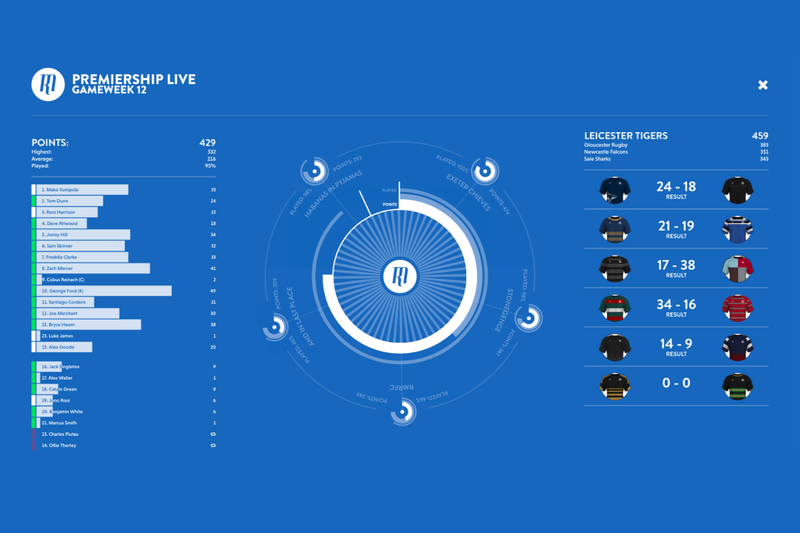 The dashboard is broken down into three parts: in the middle (and first to come up on mobile) is an overview of how you are getting on compared to the rest of the competition; your team on the left; and results on the right. So, starting in the middle, you comparison rings. Surrounding the Rugby Mag logo in the middle are a set of bars that indicate how far through the gameweek we currently are. Outside that, the important metric, your points. The hard white is your points. If the circle is filled, your team are the top scorers in the gameweek - anything less, and you can see how much you have to do to catch up. Alongside your points are an indication of the average score of all players over the weekend, represented by the slightly bluer, more opaque circle. Outside that are the comparative number of players in your team who have played, allowing you to see against your rivals who still has the most amount of players to get through before the end of the gameweek. Finally, should your team have to make any substitutions over the course of the weekend, these will appear as another circle. Beyond those, your rivals. You can choose rivals as part of our gold upgrade, and these will show up around the outside of the central circle. These floating charts will show your rivals' points, and then in the slightly more opaque colour, your points as a comparison. Their players played also appear so you can quickly see whether they will improve substantially on their points. On the left hand side are your teams points. These again show how your players are performing in comparison to the top players in the gameweek. We've moved away from showing players on a field and set it up like this so you can go into the off-week better informed about how your players got on over the course of the weekend. Last but not least, on the right hand side are the scores from the weekend, and an indication of which teams had the better fantasy day out. Again, this is great for the off-week as noticing patterns for certain clubs can go a long way to helping improve your squad and your performance over the course of the competition. There we have it! A new gameweek dashboard. We hope you enjoy it, and the experience as a whole, and as ever if you have any questions, please do get in touch!